The PROGRESSION windows make a great contribution to the project. 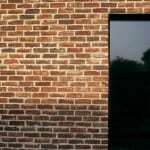 We’re particularly pleased by the way the windows sit – and look – in the beautiful brickwork. The MVHR system has worked without a hitch and is operating smoothly and quietly.. It’s really important when a client has never experienced permanent ventilation before, that it works well, is easy to use and is effectively inaudible. As always, we have had the best design advice from Green Building Store, and assistance in ordering and dealing with any problems, that anyone could wish for! 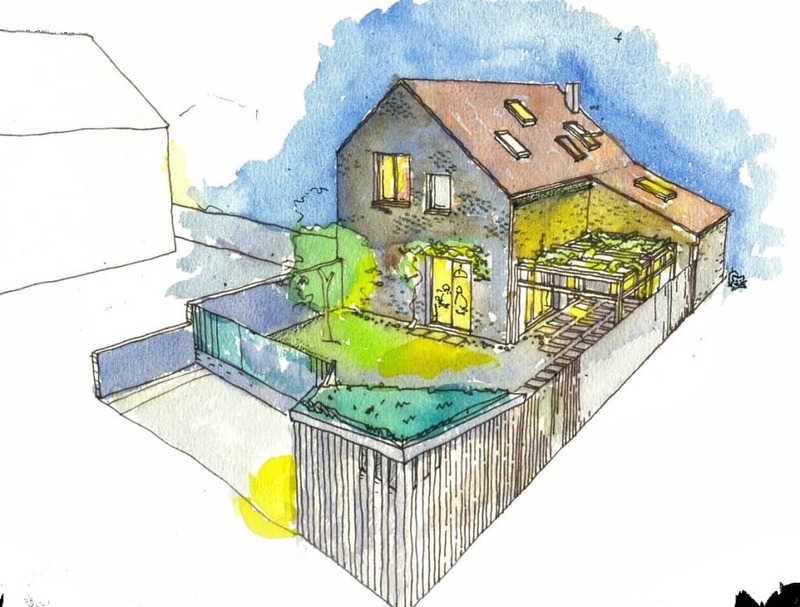 We took all our key staff and sub-contractors to Green Building Store to do their ‘Introduction to Passivhaus’ course as we felt that it was essential that everyone understood the ethos behind the project. Friends staying comment on how evenly comfortable and un-stuffy the house feels. The second most common comment is disbelief that this can be achieved without a full central heating system, even when it’s freezing outside. 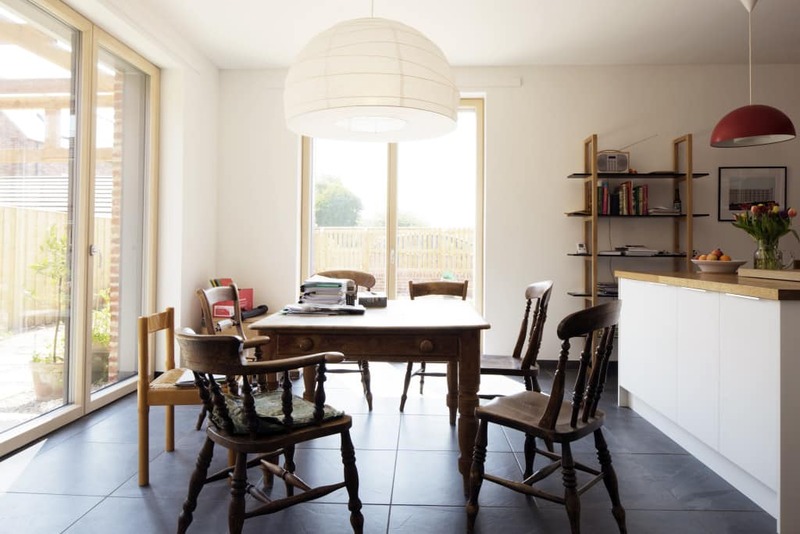 I admit I was sceptical too…but this house has proved it convincingly for me, not just that Passivhaus design can reduce energy use but that it can contribute to a simple, low tech, well designed house that is a delight to live in. 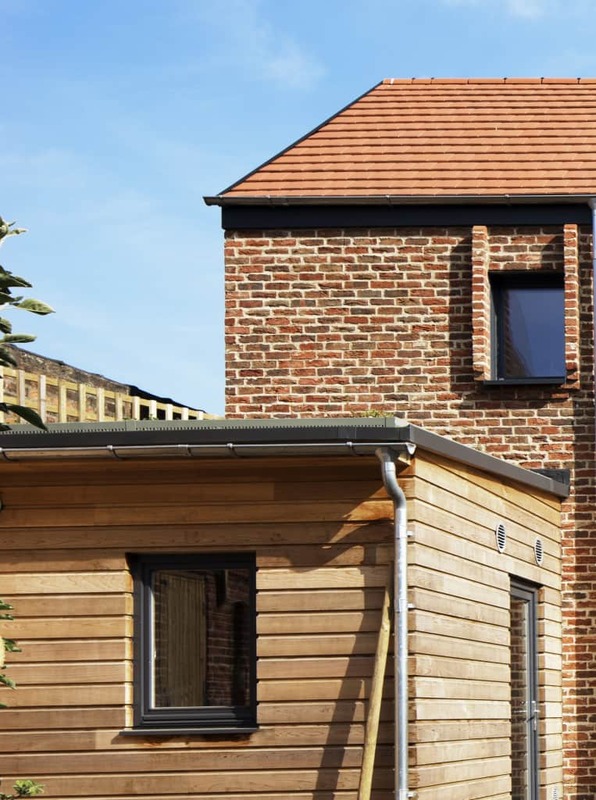 Anne Thorne Architects have just completed a compact newbuild Passivhaus project in York. The project, built by local contractors Croft Farm Construction, is a finalist in the Urban category for UK Passivhaus Awards 2016. 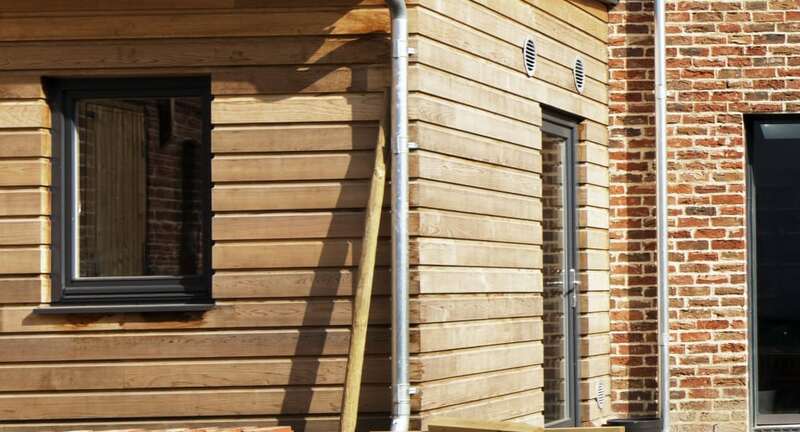 Green Building Store collaborated closely with the project, providing: construction advice and training; PROGRESSION Passivhaus-certified windows; the PAUL Focus 200 MVHR heat recovery ventilation system; airtightness and insulation products. 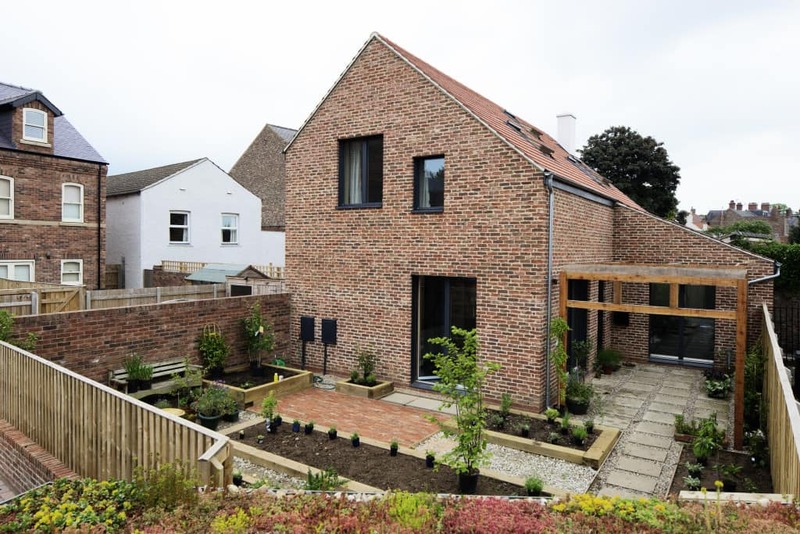 The project is a 144m2 3 bed detached L-shaped house, tucked away between old and new houses in York. Overlooking was a major constraint in the conservation area site. The house is faced with York handmade bricks and corbelled brick reveals have been used to reduce overlooking on some of the elevations. 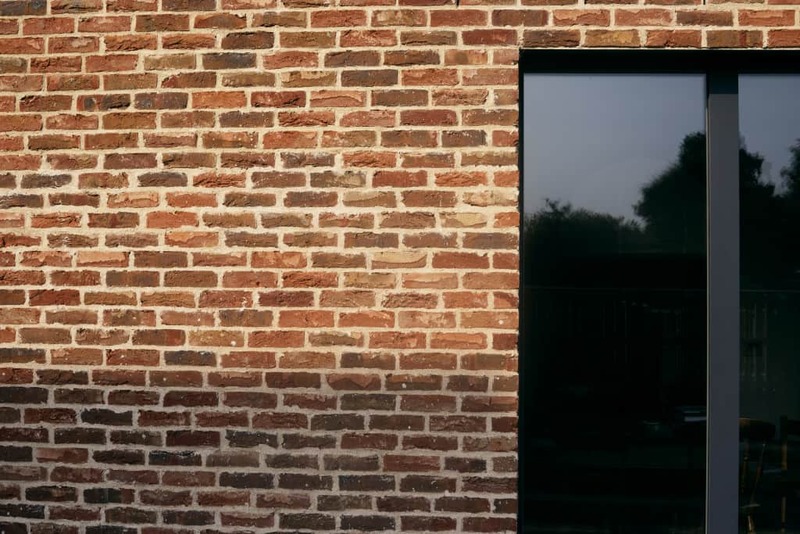 The client opted for brick and block cavity wall construction for the project and the project team benefited from Green Building Store’s experience in this area, building upon their experience of wide cavity wall masonry construction at the Denby Dale and Golcar projects. Construction details were discussed and agreed with Green Building Store Director Bill Butcher, with a determination not to ‘reinvent the wheel’. 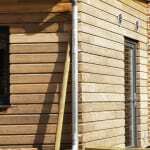 Members of the construction team attended a training course at Green Building Store to learn about the building method’s used at the UK’s first cavity wall Passivhaus at Denby Dale. 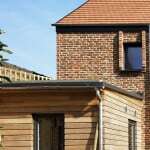 PROGRESSION Passivhaus-certified windows with cork insulated frame and narrow sightlines were specified for the project. 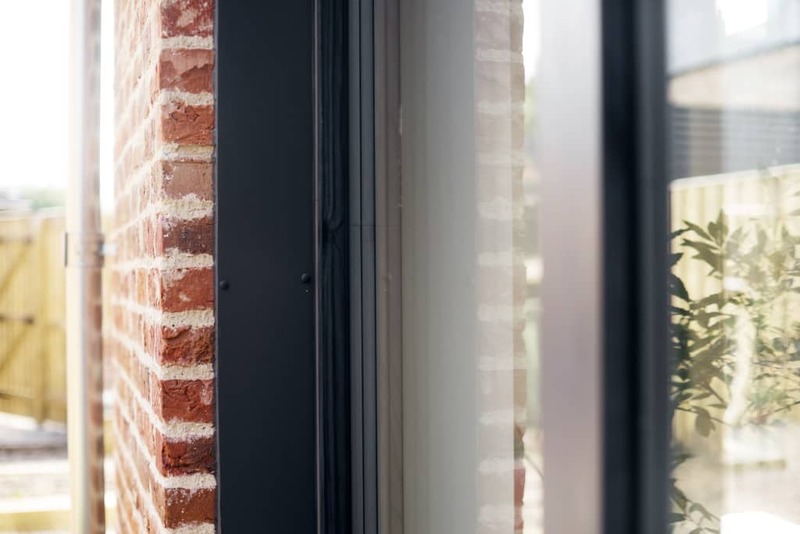 The PROGRESSION range has a whole window U value of 0.68 W/m2K and was chosen because of GBS reliability as a supplier and commitment to responding to queries and resolving any problems over the longer term which might occur. 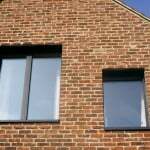 Fran Bradshaw from Anne Thorne Architects commented: “The PROGRESSION windows make a great contribution to the project. 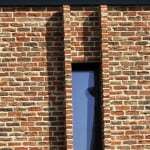 We’re particularly pleased by the way the windows sit – and look – in the beautiful brickwork”. Green Building Store’s MVHR Design Service designed, supplied and commissioned the PAUL Focus 200 MVHR unit for the project, specified by the project’s Services Engineer Alan Clarke. Fran Bradshaw commented: “The MVHR system has worked without a hitch and is operating smoothly and quietly.. It’s really important when a client has never experienced permanent ventilation before, that it works well, is easy to use and is effectively inaudible”. Client Jenny Brierley commented: “Friends staying comment on how evenly comfortable and un-stuffy the house feels. The second most common comment is disbelief that this can be achieved without a full central heating system, even when it’s freezing outside. 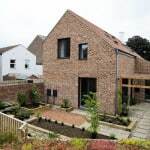 I admit I was sceptical too…but this house has proved it convincingly for me, not just that Passivhaus design can reduce energy use but that it can contribute to a simple, low tech, well designed house that is a delight to live in”. Orcon F adhesive and Tescon No 1 airtightness tape, used for general airtightness purposes. 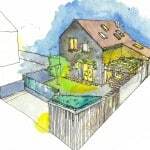 Commenting generally on Green Building Store’s service during the project, Fran Bradshaw added: “As always, we have had the best design advice from Green Building Store, and assistance in ordering and dealing with any problems, that anyone could wish for!”. 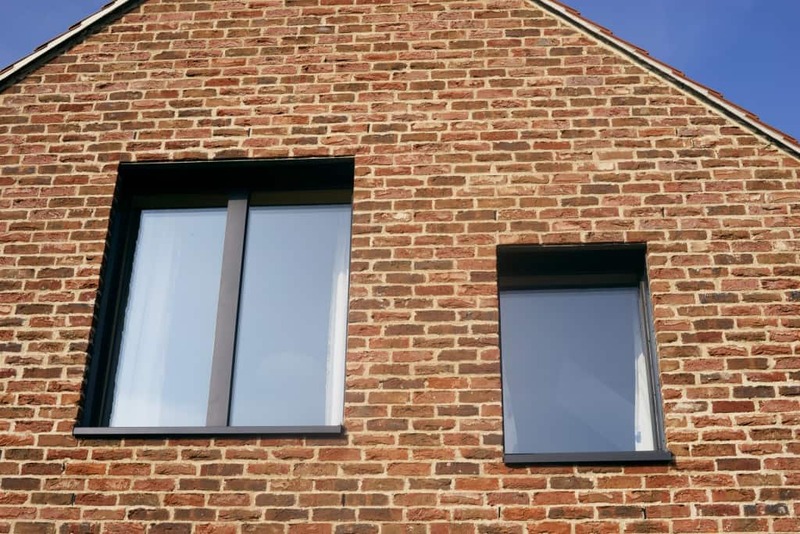 Passivhaus-certified A-rated triple glazed timber inward opening window, with minimalist, narrow sightlines and low maintenance design. Uw 0.68 W/m2K.